Pick a Maze — we’ve got Several! 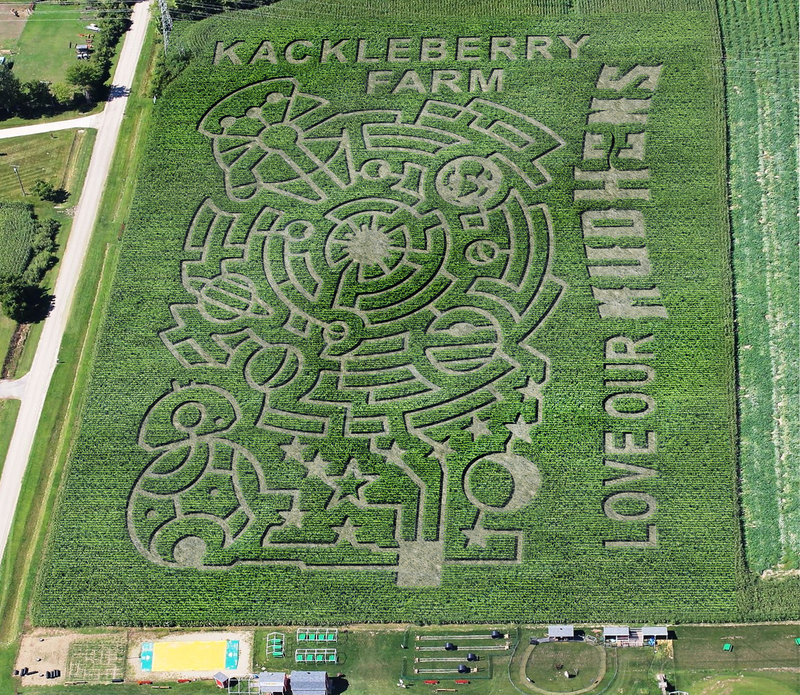 Kackleberry Farm’s aMaze-ing adventure in a cornfield, designed and cut by The MAiZE, is fun for the whole family to enjoy for hours. You can wander through 12 acres of corn filled with twists and turns. There’s lots of excitement in trying to find your way! Don’t forget: Flashlight Nights begins each evening at dark! The largest maze could take a hour or longer to complete! The middle-sized maze is less challenging, taking approximately half-hour to complete, depending on your navigation skills. The smallest maze is an Ag-in-the-Classroom maze — we use this maze to teach about agriculture and farm life. This maze is the easiest of all the mazes. Our friendly “Corn Cops” are in the mazes to help you when you need it! The paths in our mazes are bumpy and a bit uneven, but they are basically handicapped accessible.